For those who crave something a little different, something a little unique, we have just the thing to fill that void. Modern and classic design have converged to create an exceptionally adorable teapot in the Jaimi. You’ll love drinking tea more than ever. Size: L: 16.3 cm - W: 12.3 cm - H: 11.5 cm - Vol: 0.75 L / 25.00 fl. oz. When many of us think of tea, classically shaped teapots and earl grey come to mind. To these people the signature teapot style and perfect classic teas are the only way to drink tea. For others though, tea is something to experiment with. All the unusual flavours of tea and different styles of teapot are things to be excitedly experienced. Neither of these tea lovers is better than the other. Any lover of tea is clearly an amazing individual. But if you happened to fall into the latter category, then you may have found your idyllic teapot. The Jaimi is a twist on a classic. 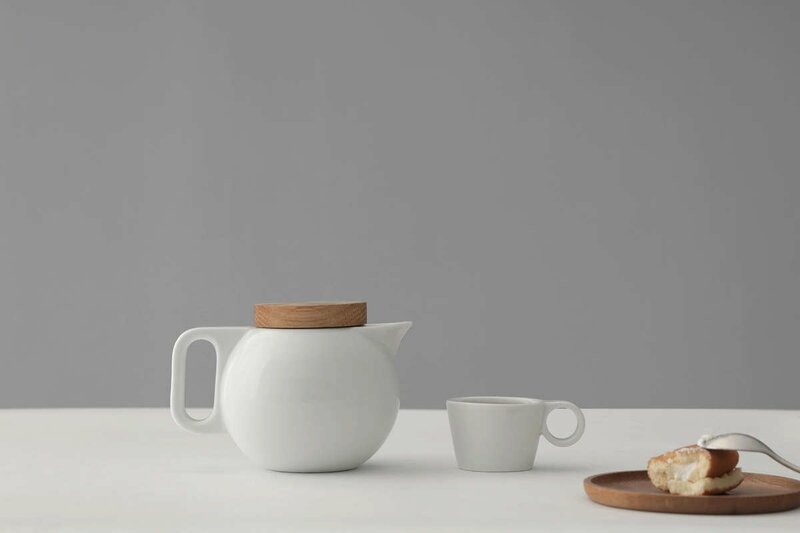 This clean white porcelain vessel is perfect for brewing all of your chai, licorice or rooibos blends. The shape of this adorable teapot is not as far removed from a classic teapot as you’d expect, however it’s the little details that make this pot stand out. Its unique spout and handle are sleek and modern, yet its body is adorably round. 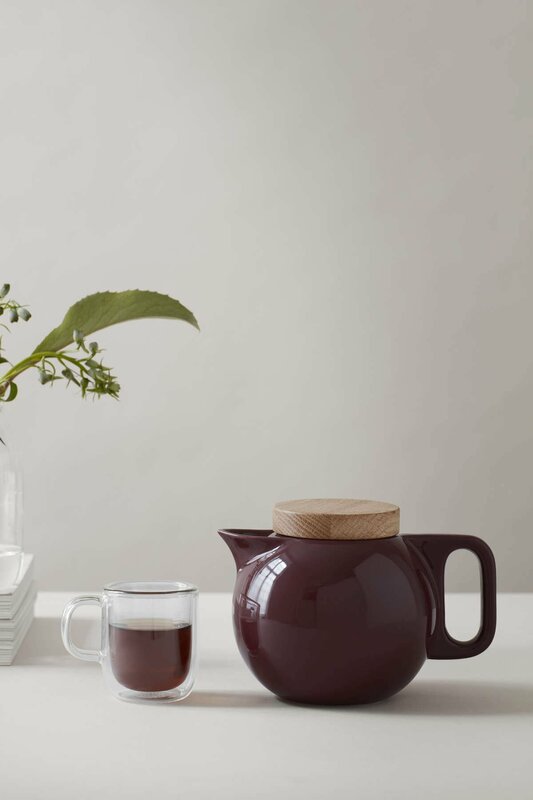 Topped with a comforting wood lid and with a fine mesh infuser included, this teapot is both modern and classic at the same time. 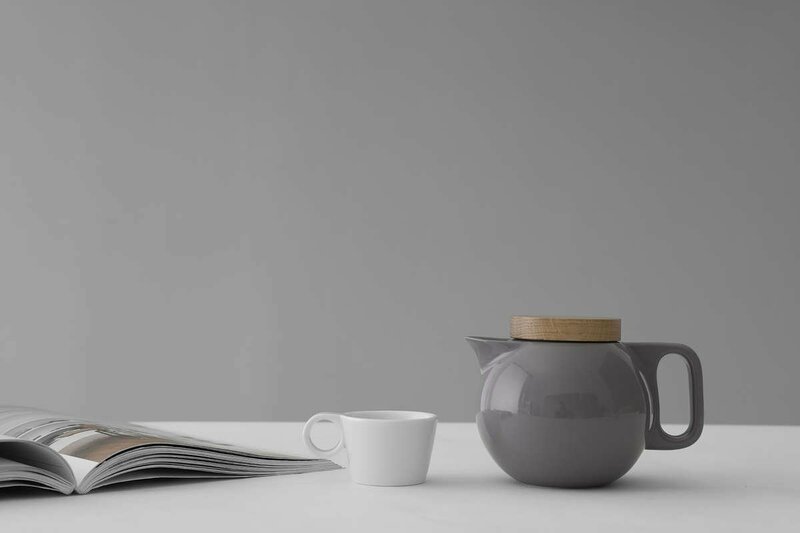 Take your adventurous tea habits and combine them with this beautifully designed and comforting teapot. It will be a match made in heaven. How much tea would this teapot make? The Jaimi is a 750 ml capacity teapot. This will make three large cups so it’s ideal for sharing with a friend or indulging alone. Is it difficult to remove the infuser once the tea has reached ideal intensity? The infuser is very easy to remove. Simply pull out the stainless steel infuser, replace the lid and pour with ease. Does the handle get hot? 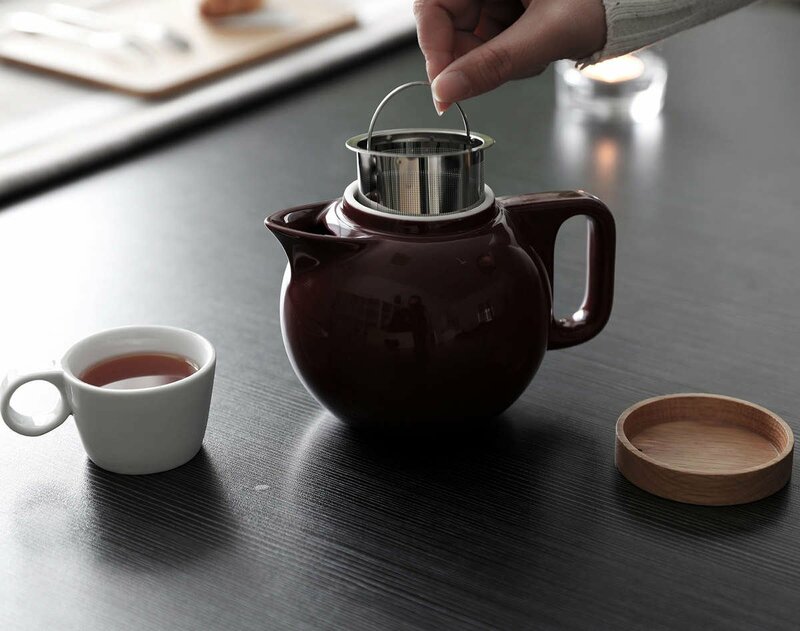 Due to the Jaimi’s clever design, the handle will remain cool to the touch so you can pour your tea with ease. Can I use tea bags with this or is it just for loose leaf tea? Both tea bags and loose leaf teas can be used and brewed to perfection in the Jaimi. What is the best way to clean this teapot? This porcelain and wood teapot is not dishwasher safe, but it’s just as easy to hand wash like any other dish.